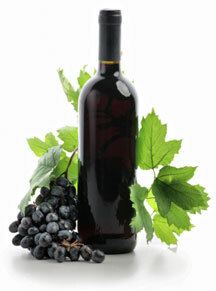 Resveratrol - The Key To Looking Younger? Can resveratrol make you look 20 years younger? Wow, doesn't that sound appealing. The longevity-promoting compound has been making headline news in recent years. On a recent segment of CBS 60 Minutes, top researchers claimed it as a "fountain of youth." It was similarly praised as an anti-aging "miracle" on the ABC News special Live to be 150 with Barbara Walters. FOX News has proclaimed the red wine supernutrient to be the "holy grail of anti-aging," and on The Oprah Winfrey Show, "America's Doctor" Mehmet Oz has spoken glowingly of how it can "turn on cellular chemistry that allows you to live longer and better." But are the anti-aging and health benefits real? A natural antioxidant compound found in some plants, seeds, and fruits, including grapes and grape-derived products such as red wine, blueberries, cranberries and peanuts. It is produced by these plants when under attack by pathogens such as bacteria or fungi and other environmental stresses. It is best known as the active ingredient in red wine that protects against heart disease. Resveratrol was first studied by scientists when they observed that the French consume much greater amounts of saturated fats in their diet, indulge in lots of wonderful creamy sauces, and yet have an unexpectedly lower incidence of cardiovascular disease than Americans. This phenomenon known as "The French Paradox" suggested that the greater amounts of red wine consumption by the French had protective side effects against the disease. Intensive research led to the identification of Resveratrol and have shown to potentially improve health and well-being in humans. Dr. Carol Forman states: "The diverse health benefits associated with this compound include its anti-cancer activity, anti-inflammatory activity, anti-viral activity, antioxidant activity (including the protection of glutathione, our "master" antioxidant) and its brain and cardiovascular protective qualities." "The most significant human study to date, which supports the health-enhancing benefits of resveratol that may address many of the chronic age-related diseases of our time, has just been published! In a study published this month in Cell Metabolism, Dutch researchers showed that taking a resveratrol supplement for 30 days significantly lowered multiple markers associated with heart disease, diabetes, cancer, and many other chronic diseases. These include markers of inflammation, improved mitochondrial capacity, lowered blood pressure, and blood glucose. Since inflammation is at the root of literally hundreds of diseases, this has immense potential health implications. And we know that chronic inflammation leads not only to age-related diseases but to accelerated aging, as well! This study also showed reductions in both blood pressure and triglyceride levels, both of which are associated with heart disease risk. Diabetes has increased a whopping 35% in just the past decade. Until now, the only nonpharmacologic way to improve insulin sensitivity and reduce your risk of developing diabetes has been calorie restriction and weight loss—which is so very hard for people. This study would suggest that adding a high potency resveratrol supplement may help improve your insulin sensitivity and lower blood-sugar levels. Anyone out there too tired to exercise? Well, this study may provide an answer for this, as well! These study participants showed significant increases in markers of mitochondrial function. Mitochondria are your body’s energy producers that tend to decrease in number and output as we age. The increases seen in this study were similar to those seen with endurance training. So get some of the energy benefits associated with exercise and ramp up your mitochondria just by taking a resveratrol supplement! Sounds too good to be true, but I must say the results here are compelling and exciting." With over 50 plus years behind the company and with the likes of Dr. Jamie McManus providing the credentials, we must say Vivix has been a great solution to get your daily dose of resveratol. An added benefit, it comes in liquid form...yes, LIQUID, NO PILLS TO SWALLOW! Global cutting-edge research in the fight against cellular aging and years spent in partnership with leading scientists have culminated in Vivix. Only Vivix contains both reseratrol and a proprietary phytonutrient blend. This phytonutrient blend harnesses the powerful antioxidant properties of rare muscadine grapes and has been shown to be 10X more powerful than resveratol alone in slowing a key mechanism of cellular aging. Muscadine Grapes: Naturally Superior. Muscadine grapes are one of most potent fruits with a unique polyphenol profile that offers a number of health benefits. Unlike other grapes, muscadine grapes boast superior concentrations of ellagitanins that, when combined with other muscadine grape polyphenols, yield immense antioxidant power. Leave Resveratrol and return to the Home page.